Fourteen local women born between the 1920’s and 1960’s have shared their varied experiences and lives in a new book. Day-to-day living and peculiar adventures such as memories of the crew of a German U Boat, drinking coffee in a kitchen after an incident are just some of the stories within this text. How they lives their lives, cooked and looked after their families. Their thoughts on the past, the times they miss and don’t are some of the topics discussed. 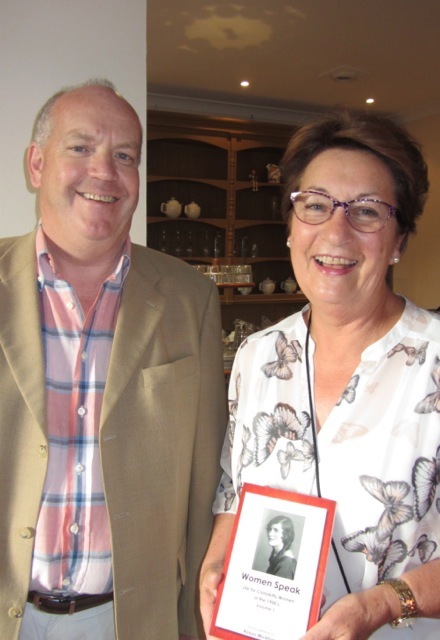 The stories were gathered by one-to-one interviews with the editor Alison Wickham as part of celebrating 400 years of Clonakilty as a town. Also as a way of capturing the memories of a generation for successive generations to see, read and understand. Through this book we can see Ireland the way that it is – the history and laws that shaped women’s lives in it. Alison Wickham is a qualified nurse who also gained a degree in organisational psychology. She was born in the New Zealand and has also lived in the US for two years. The stories were gathered by one-to-one interviews, mostly from people that know the editor. She sought out information that would add a variety of experiences to the book. 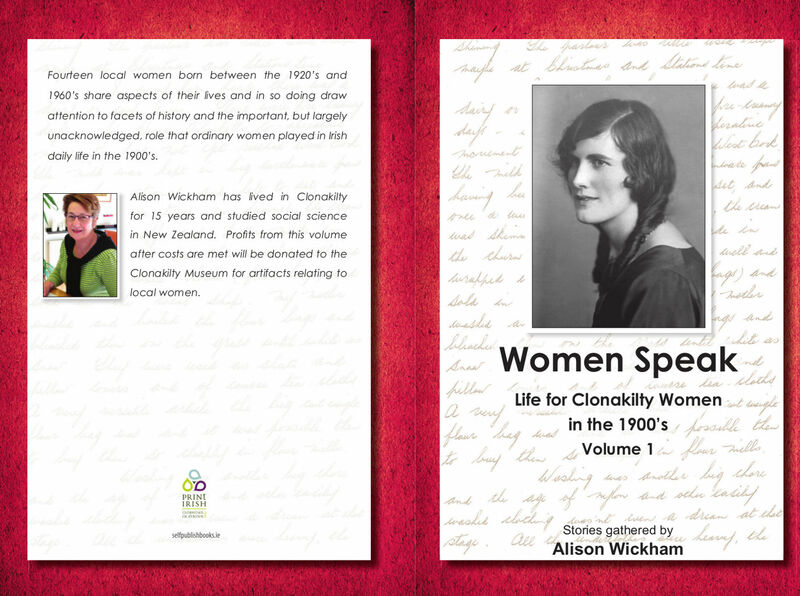 Women Speak – Life for Clonakilty Women in the 1990’s Volume 1, was launched in O’ Donovan’s Hotel in Clonakilty on the 11th of July to a warm community atmosphere. The book was printed by selfpublishbooks.ie in Carrigtohill, Cork due to the small, local appeal of the book and the customer responsiveness of the staff there. All proceeds go to the ClonakiltyMuseum for artefacts relating to local women. It is available at the Clonakilty Bookshop, Kerr’s Bookshop, Coughlan’s Bookshop and Bandon Books. Shown is a picture of the Editor Alison Wickham and Director of selfpublishbooks.ie Frank Kelly. An Taoiseach launches book by Cork Senator. 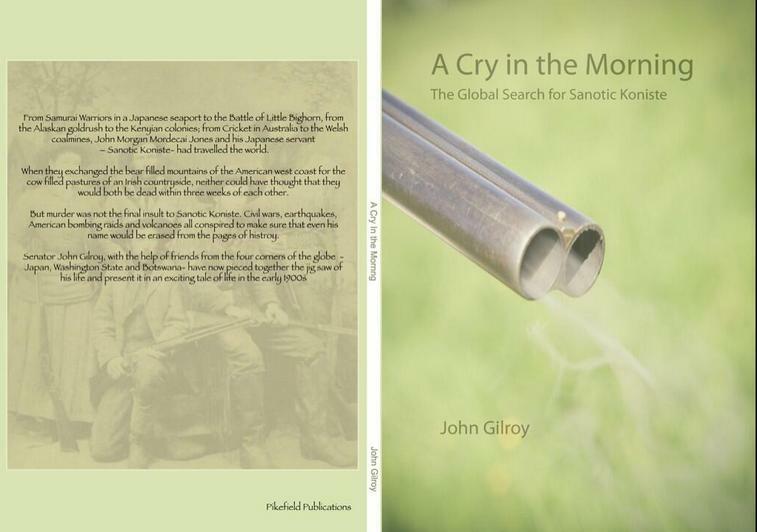 An Taoiseach Enda Kenny has launched, A Cry in the Morning – The Global Search for Sanotic Koniste written by Senator John Gilmore. As the Taoiseach was late for the event, Senator Mary Louise O’Donnell said a few words before introducing John Gilroy to the audience. Fine Gael and Labour were delighted to combine forces for this event which took place in the private member’s restaurant in Leinster House on July 18th 2013. The book tells the story of the murder of Sanotic Koniste, the Japanese servant on the Clifton Lodge Estate near Athboy in Co. Mayo. He met a lonely death, ten thousand miles from his home in 1913. Having grown up at a seaport in Japan, lived through an Alaskan winter, survived after being abandoned to die in the American wilderness and after having hunted lions on the African plains, Athboy was as unlikely a place for him to meet his death as he could have imagined. But murder was not the final insult to Sanotic Koniste. Civil wars, earthquakes, American bombing raids and volcanoes all conspired to make sure that even his name would be erased from the pages of history. John Gilroy searched all four corners of the globe – Japan, WashingtonState and Botswana to piece together this murder mystery and present it to a modern audience. 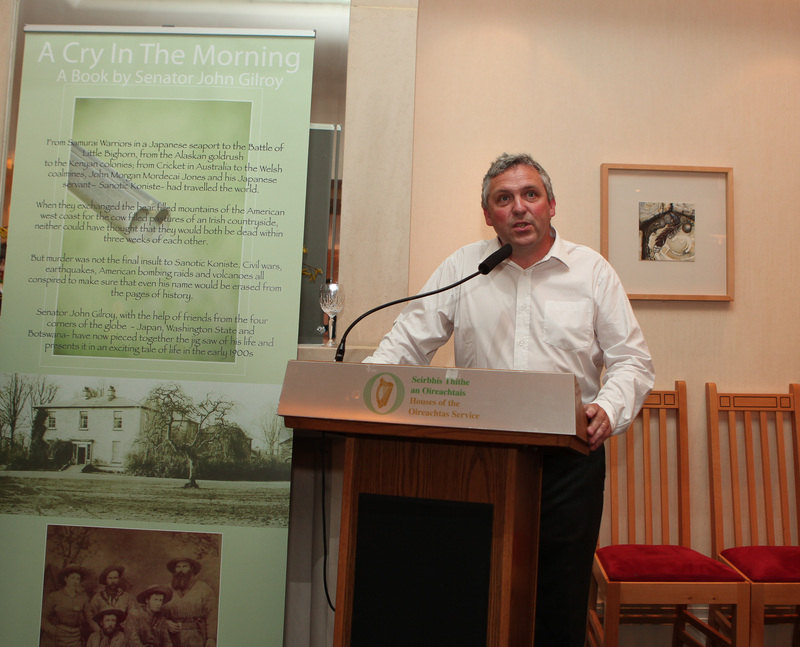 Senator John Gilroy received media attention in the days following the launch – giving attention, publicity and praise for the book and the research that he undertook. 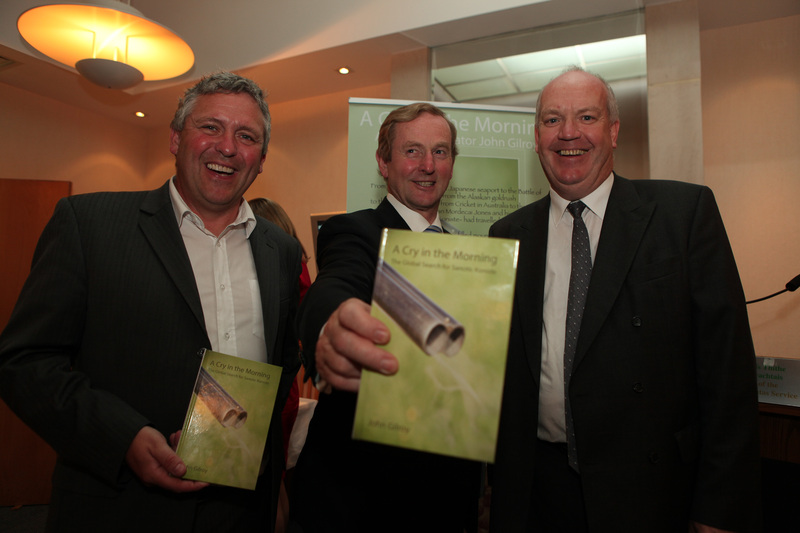 However, the focus has been on the Fine Gael Leader launching the book instead of the Labour Party Leader Eamon Gilmore. Mr Gilmore and Pat Rabbit did not attend the launch but other members of the Labour Party did and praised the Senator. John Gilroy did not want the event to be a political matter. The book was produced by www.selfpublishbooks.ie in Cork and the author was delighted with the service. “Frank and the staff at Lettertec provided an excellent service. The quality of my book was exceptional, everyone commented on this – it certainly helped increase sales. The turn around time was fantastic as well, friendly staff, professional service, I’m delighted. Attached is a picture of Senator John Gilroy on the left, Taoiseach Enda Kenny in the middle and Lettertec Director Frank Kelly on the right. Frank Kelly, Director of Letterec Ireland and the subsidiary Selfpublishbooks.ie was recently interviewed by Maeve Martin of Irish Printer Magazine. The following is an extract of the article. It is easy to claim that your portfolio of equipment is streets ahead of your competitors. 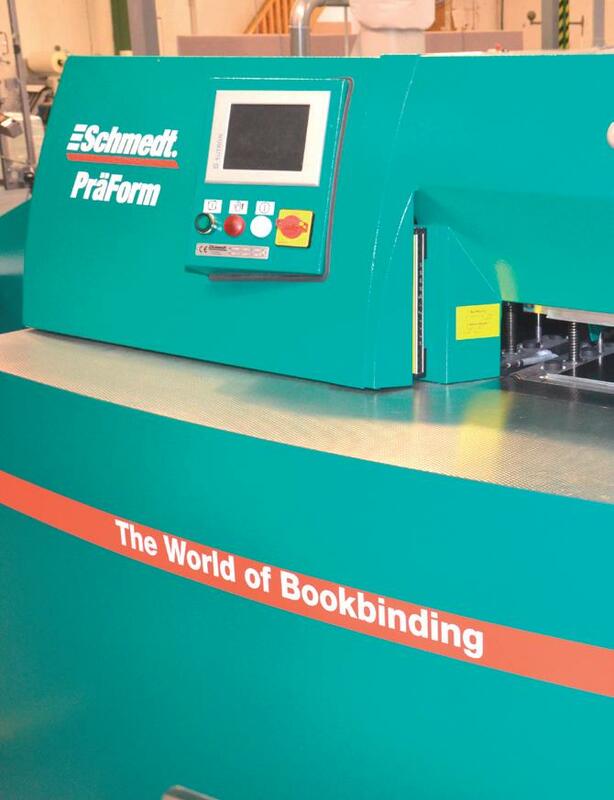 But Lettertec Ireland Ltd can actually back up their claims about the range, quality and uniqueness of the bindery equipment they have installed. Managing director Frank Kelly talks to Maeve Martin about how he is beating the recession by making state-of-the-art and strategic investment. Is trade work an aspect of Lettertec’s business that they are keen to build up? “‘We are getting practically no trade work as we have not sought it,” saysFrank. “However, we recently took in a job from a colleague who knows about our paperback binding capability. The job had 500 pages of content and a 35mm spine, which was too wide for the printer’s own Horizon 4 clamp perfect binder, so we Ota bound it and cold glued it. The client was delighted with the complete lie flat that we achieved on such a big book and, as a result,another job was delivered recently. There is a quick turnaround and low margin as well as other problems associated with trade work but we would certainly be willing to engage with other printers who could provide regular work and appreciated what we have and can do for them”.